TCCoA Forums > Other Stuff > Ford TCCOA HomePage News > 2.7liter ecoboost powered aluminum bodied...F-150! 2.7liter ecoboost powered aluminum bodied...F-150! A 2.7 liter engine in a full sized truck. I was still wrapping my head around a 3.5 (and a N/A 3.7). Should be about a wash with the existing 3.5, lower weight (700 less) with 60 less HP (until you fill up the bed or attach something to the tow hitch). The truck looks good, and the engine has some interesting technology. 97 Cougar 4.6 Sport/White Opalescent Tricoat Metallic /Gray leather down but not out? Meh, how about making the truck they built 20 years ago. It easily would weigh 700lbs less than the current luxobarge Tonka truck they're currently building and replacement panels won't cost the fortune aluminum ones will. I'm gettin' one for sure. A 2015 that is. I'm not sure what engine just yet, I am kinda sorta considering the 2.7. I have the 3.5 EcoBoost in my 2011 F-150 and it's 100% awesomeness. The only complaint I have with the powertrain is the bland shifts, it needs a performance/sport mode for the trans. This is what the market has dictated though. I too disagree with the prices and options on the new trucks, I remember when Lariat meant power windows, locks and and automatic. Before anyone gets too upset remember these "1/2 ton" pickups can now do 3/4-1 ton jobs. As for the aluminum (6061 specifically), I have interviewed with Alcoa (provider of the material) and ALL manufactures are going aluminum panel, first Ford then GM ~next year and Mopar in a couple years. Cost more almost certainly but how much is 700lbs going to relate to in MPG? 2? As for the 2.7 I bet it makes more power under the curve than the 302 did (I personally think the 302 should have never been used 300 FTW). Hmmm... can I have an aluminum body 6.2L V8 please? Just a little info for anybody thinking of buying an Ecoboost F-150 and my experiences. My boss has a 2011 or 2012 (I'm not sure) that we take all over the U.S. for jobs. Driving the truck alone, it makes a ton of power and gets good gas mileage - like around 20 MPG avg. However, we tow a trailer (a small single axle trailer that comes to a point for less wind resistance). When driving 60 MPH on the interstates, the average MPG is only 11 MPG, increase to 65 MPH and it drops to 9 MPG, 70 MPG and get 8 MPG. Everybody was sleeping and I pushed to to over 80 MPH and was averaging only 5 MPG. This isn't for 100 miles or so, these are averages over THOUSANDS of miles so they are accurate. My recommendations are if you just want a truck, these V6 Ecoboost trucks are awesome - if you plan on towing anything for any distances, get a 5.0L V8 - you won't be disappointed. Rick, I'm sure Earl can verify but my dad's 2013 gets 14mpg city and 18MPG hwy--with nothing in it and just for reference his 90 F150 (300) gets 22mpg city and hwy. Now for the link posted the aluminum being sourced is high quality just do a search on Aloca and you will they don't make junk. As for the supply issue he cited the facility that will be doing the automotive line is feed by recycled aluminum (Aloca and the TVA couldn't agree on energy costs and smelting is no longer done there). I'll get off my soap box, sorry. Exactly my point - thanks for contributing! We just drove 1000 miles to this job site with cruise set at about 66 mph. The average MPG with the Ecoboost 3.5L is 10.5 MPG. Now, we got better mileage on the last trip with an average of 11.1 MPG (which is higher than usual since the boss added a cold air intake setup). The reason we dropped back down to 10.5 MPG on this trip is we just put new tires on the truck (the old ones were getting pretty thin, worn tires get better mileage than new ones - makes sense, more traction and drag). For reference, this is a 2012 Ford Ecoboost 3.5L F-150 with 85,000 miles on the odometer. The last tank - according to the dashboard, avg fuel econ was 19.2MPG Over the lifetime of the truck it has apperantly been 16.8MPG I filled up 25 minutes ago, I had half a gallon in it, I put 25.0 GAL in, and I had traveled 450 miles on that tank. Eco vs. 5.0 is one of those can-o-worms debates the eco guys swear by them though. I prefer a V8, myself. The 6.2 is going away for 2015...I sure would love a 13-14 XLT with a 6.2-but only for the hell of it, the 3500+ dollar price tag on those tends to steer people away from them. As for towing, I've never pulled anything simply because the opportunity has yet to present itself. I'm sure the truck would pull damn near anything though. I Totally agree with you. My friend has a lawn mower shop and had 5 Ford company trucks (about 10 years ago) - three with the 300 6-Cylinder and two with the 302 V8. The 302 equipped trucks constantly got better mileage than the 6 cylinders. I can tell you this - NONE OF THOSE TRUCKS EVER SAW 30 MPG. What a joke! Well Rob, I'll disagree and so will most Farmers, used not only in truck but as irrigation pumps. Nor do I think 250+lb-ft at less than 2000RPM to be weak, now yes if you want to rev it to sky then yes it falls on its face. Now you tell me which is the better TRUCK motor. I do agree about the new 5.0, and is why I lean toward the Ecoboost or 6.2, if was available still the 5.4. Back in 86 I had a company plain Jane F-150 short bed 3 on the tree with the 300 in-line . That thing would burn the tries off in first and whine out the gears for days in seamed. 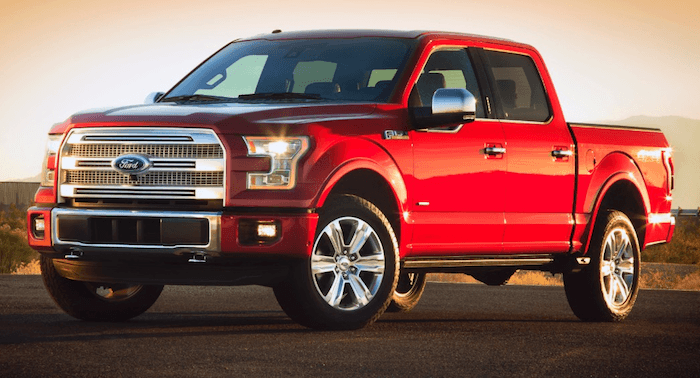 I really like the 2015 F150, however Ford is striking out dropping the 6.2L That will pretty much be the reason I do not get into one. I will be checking the 2015 out but pretty sure I would not buy. I am not sold on the eco-boost. Those that I know that have it either love it or can't wait to get rid of it. When I bought my Silverado in 2011, the Ford dealerships around me ensured it was a Chevy I bought. They wanted me in an eco-boost, I wanted the 5.0L. I don't regret my Chevy. I don't pull anything over 7000 pounds with it and it pulls that easily. When I have to pull more than 7000 pounds, I have a 2002 F350 7.3 Diesel for that. My 5.3 is getting equal or better than gas mileage than anybody I know with the eco-boost. Yeah they can tow more and go faster, wow, if I wanted a fun truck, I would have 6.2L Raptor. As a kid who grew on the farm in Saskatchewan, I used to have an 88 F150 5.0 5 spd 4x4 and a very close friend with an 89 F150 4.9 5 spd 4x4. I can you tell right now, I would take the 302 over the 300 I6 everyday, my 5.0L was more reliable, better gas mileage and better at towing/hauling loads. The new 2.7 availability and cancelation of the 6.2 means that Ford is complying with the 2015 fleet average regulations. Ha e you guys read the specs on the new motor? A cartridge oil filter? Cool! That being said, my '13 Ecoboost hits 17.2mpg on its last trip average in South Florida traffic....now, roush claims 50hp on its conservative tune and intake...given my slightly better SCT tune, intake, snd exhaust, im at a few ticks over 400hp. The six speed auto is #totesamahz, i can easily stack on 20mph without the computer downshifting. I know some of youse guys prefer the old skule trucks, thats cool. Ill think about you when i click the remote start at the beach, zip back all 6 windows, and turn on my AC seats!